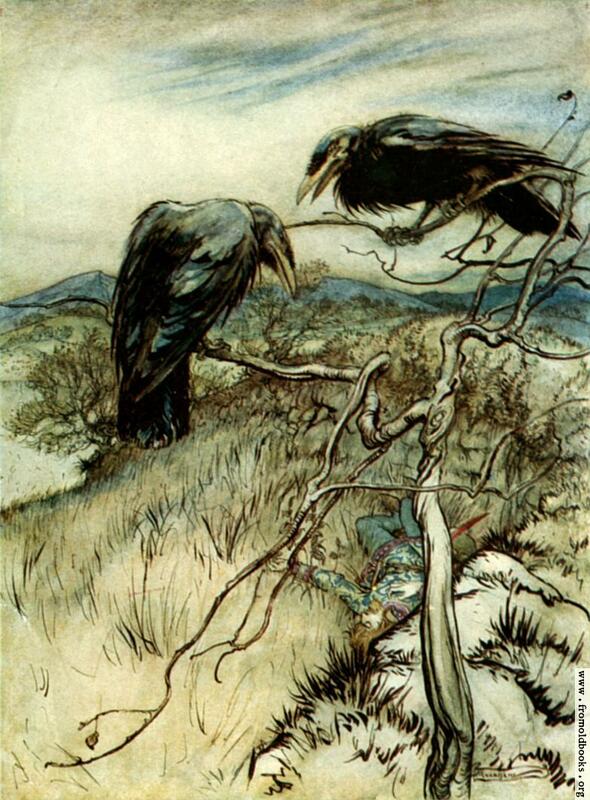 Or, The Two Ravens. Two carrion birds sit discussing what they are going to eat for supper, and one mentions a young man, a knight, lying dead nearby, presumably killed by his lover’s new boyfriend. So we may make our dinner sweet. We’ll theek [thatch] our nest when it grows bare.